'Abby Kimball has just moved to New England with her boyfriend and is trying to settle in, but the experience if proving to be quite unsettling, to say the least. 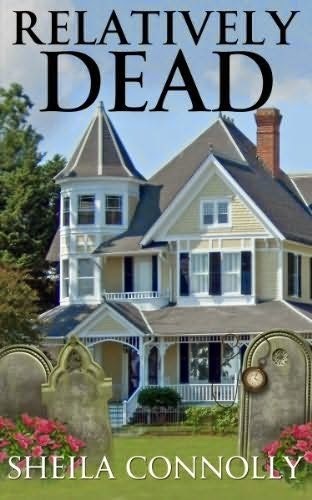 While on a tour of local historic homes, Abby witnesses a family scene that leaves her gasping for breath--because the family has been dead for nearly a century. Another haunting episode follows, and another, until it seems to Abby that everything she touches is drawing her in, calling to he from the past. Abby would doubt her sanity if it weren't for Ned Newhall, the king and knowledgeable guide on that disturbing house tour. Rather than telling her she's hallucinating, Ned takes an interest in Abby's strange encounters and encourages her to figure out what's going on, starting with investigation the story of the family she saw...and exploring her own past. When I picked this one up, I thought that I was getting a cozy mystery or something because this author is quite known for her cozy mysteries. However, this wasn't exactly a mystery. 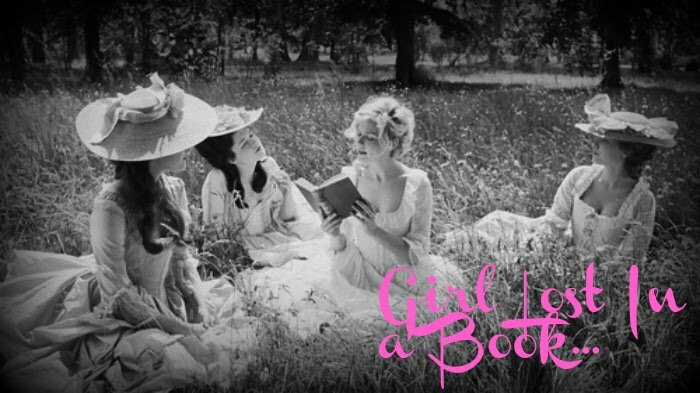 It was more of a ghost story and the main character learning something new about her life that will change it forever. I think I was a tad disappointed because I was expecting a cozy mystery and got something quite different instead. Not a badly written book, the plot line is engaging, the characters are well-developed, it just wasn't a mystery of the usual sense of the word. It was more discovering one's past and learning about one's ancestors and family history with a little romance thrown in the mix. Abby is a likeable character. She is someone who doesn't believe in the supernatural. One who lives her life very normally and doesn't take any chances. So when she starts seeing ghosts and visions, she is a little freaked. Luckily she has tour guide Ned willing to help her discover exactly what is going on. Slowly but surely, a friendship grows between Ned and Abby and they are spending more and more time going through the history of the small town in which they reside. If you like books that feature the supernatural on a light basis and with a hint of romance, this might be the book for you. I just think that it needs some work. At times I lost my focus and it was hard to stay tuned in to the story. Sheila Connolly is a fabulous cozy mystery writer who reached out and tried something a little different. As a reader, I appreciate that, but I do prefer her mysteries more so than this one. I am curious to see where the characters go in the future if Ms. Connolly does decide to make this a series. Not her finest material, but still enough to keep me somewhat slightly amused. Disclaimer: This book was given to me by the publisher, through Netgalley, in exchange for my honest review. I reviewed this book without compensation of any kind. All thoughts and opinions are solely mine. Nice review! I've had this on my Kindle for a while now, and haven't gotten around to reading it. I do enjoy light paranormal romancy stuff, so I think I'll bump it up the TBR list.